There is an area in India very different from the rest of the country, the geographic conformation of the territory, makes it completely isolated. This is the North East of India. One state in particular seems completely different from the rest of the country, it's Nagaland. Men are mainly hunters, while some take care of the safety of the villages or of the women in the camps, constantly armed, or provide to find wood for cooking and heating. The scourge of opium in the border villages between India and Burma where in this remote area forgotten by both governments, without any checks and prevention by the authorities, the consumption of opium has spread so rapidly as to make one-third of men slave of opium, creating a hard vacuum in the fabric of the society. 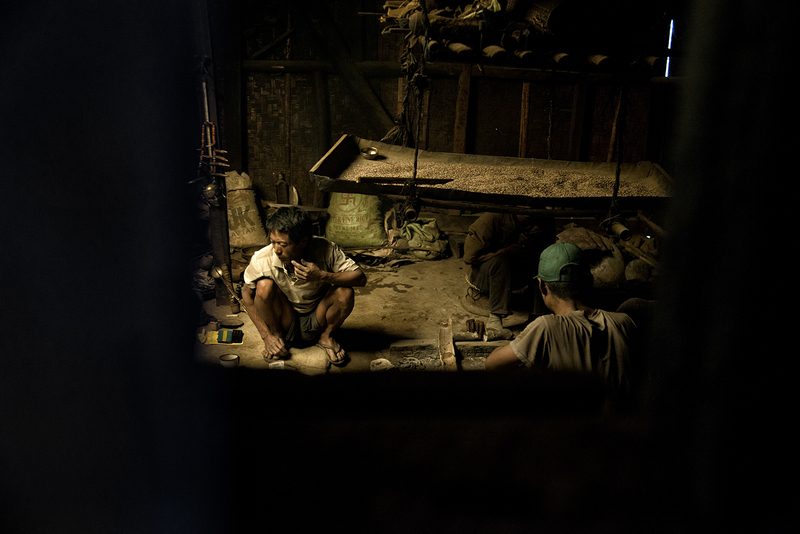 While women go to the fields to work, barefoot, in all weather conditions, men gather in a hut to smoke opium all day long. The children are left in the same house and play while adults are smoking, the acrid smell and fumes spread all over in the hut. The situation is now dramatic and critical, but is not well known. But what will happen In a few years? Without any intervention, entire villages will be inhabited by men and boys who are completely addicted to opium. 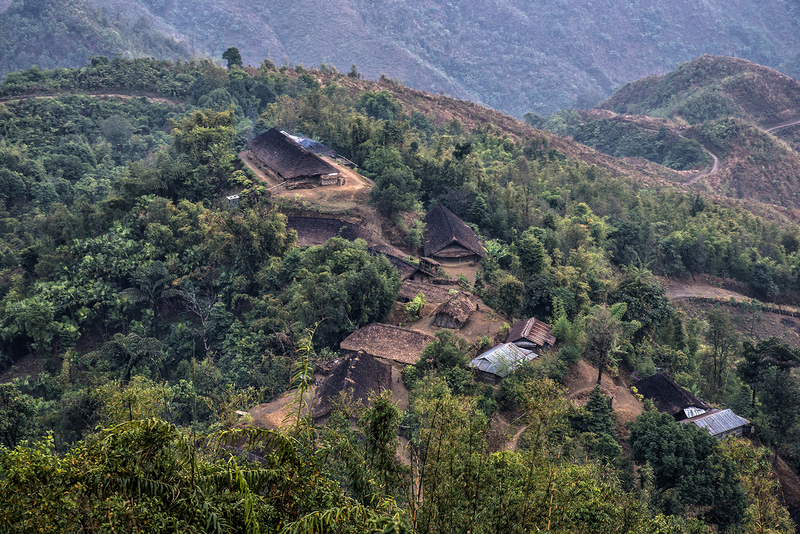 The Area: Nagaland There is an area in India very different from the rest of the country, the geographic conformation of the territory, makes it completely isolated. This is the North East of India. One state in particular seems completely different from the rest of the country, it's Nagaland. Men are mainly hunters, while some take care of the safety of the villages or of the women in the camps, constantly armed, or provide to find wood for cooking and heating. Nagaland is the strategic Eastern Frontier State of India. 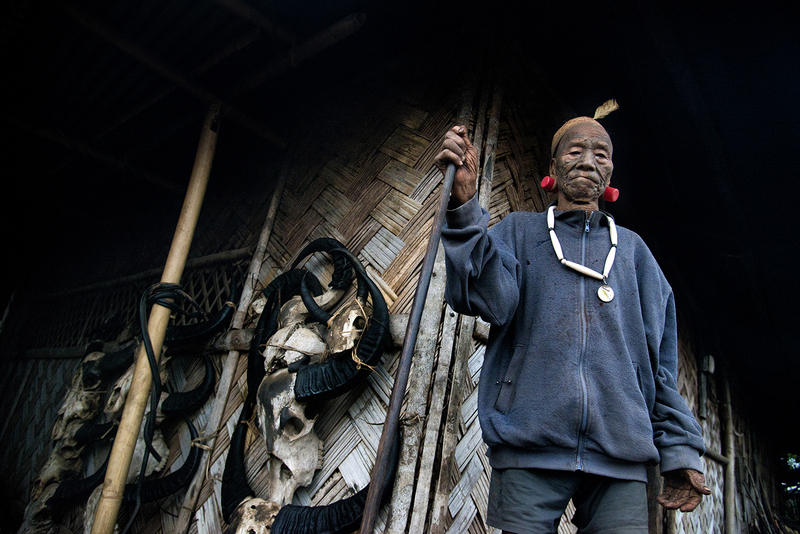 This mountainous region is the home of a multitude of tribal population. This state is really poor, 70% of the population lives in rural area, in huts with roof made of banana or palm leaves, bamboo and plate walls. 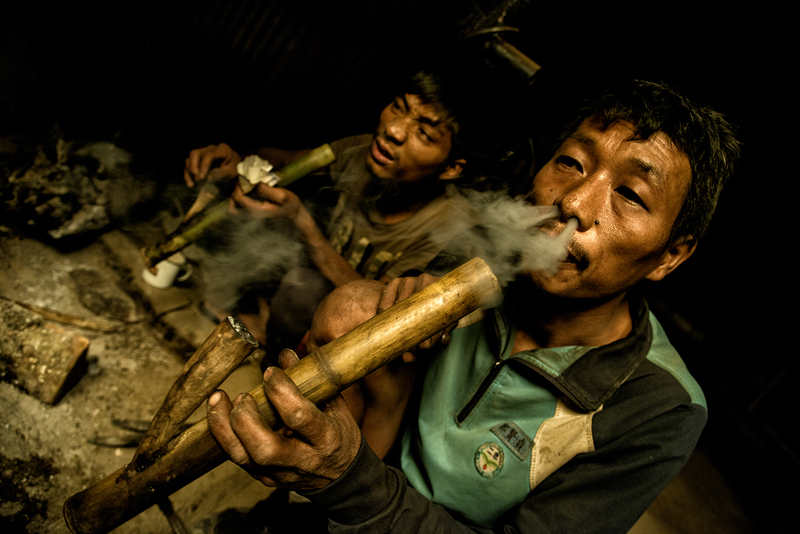 The opium is melted and then mixed with a hand-made tobacco obtained from dried leaves found in the forest surrounding. Gathered around a fire, scrupulously perform everything as a ritual. 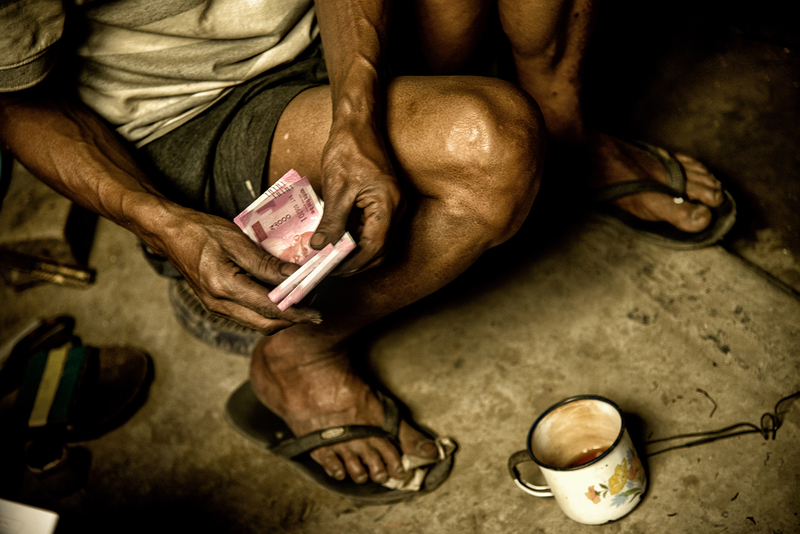 Men, now addicted to opium, no longer works and waste all the money to buy their own doses. 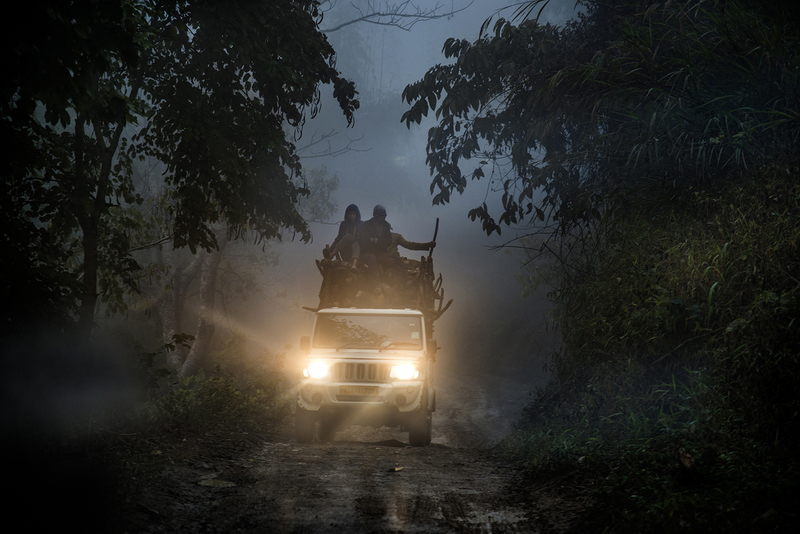 Without border controls and no presence on the territory of the army or police, opium couriers comes undisturbed by foot from Burma through paths surrounded by dense vegetation. These border villages seem to have been forgotten by both nations. Disappeare all the physical pains present in their body, and all the anxieties, worries and daily fears which are present in their mind. They flee so far away from their actual condition, a very poor life. 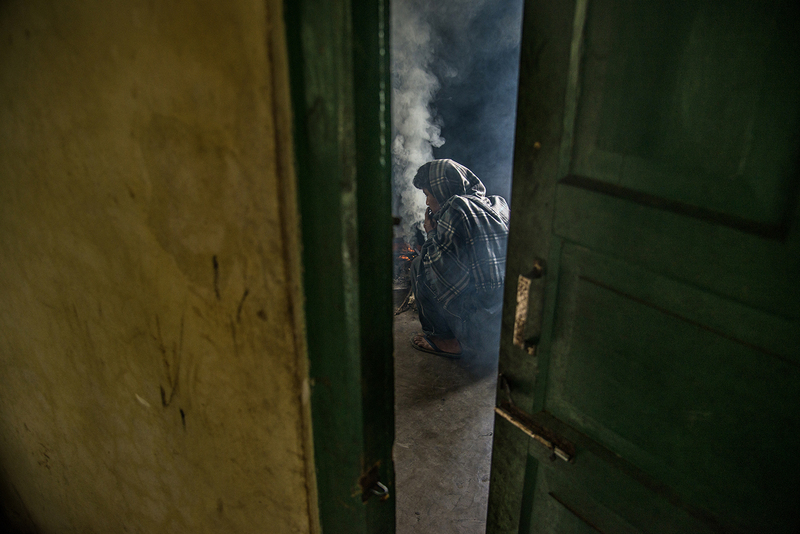 Unfortunately men also involve the youngest and spend all day to smoking inside the hut, some of them. 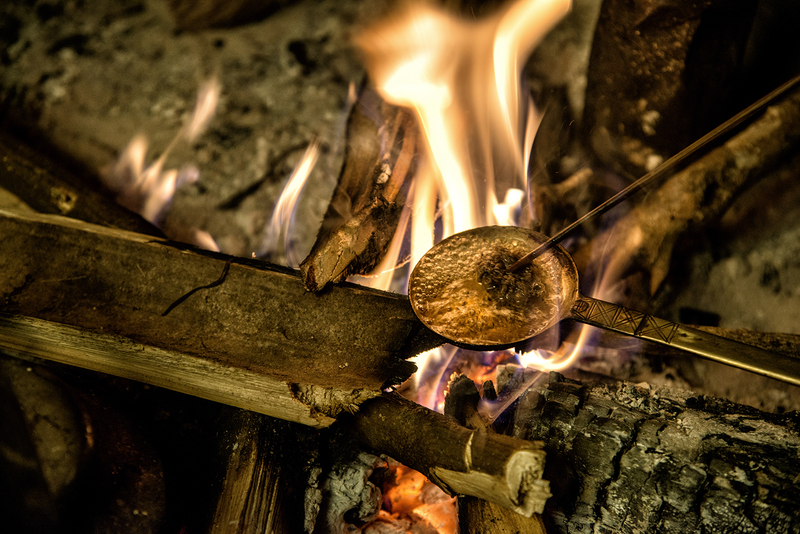 With the pipes of wood, carved by them, smoke in large quantities from the first light of the day. They accompany almost every shot, with a sip of tea, to sweeten the bitter taste of opium, and to hydrate himself, one of the side effects of this drug. the same tea that women cultivate with great effort. 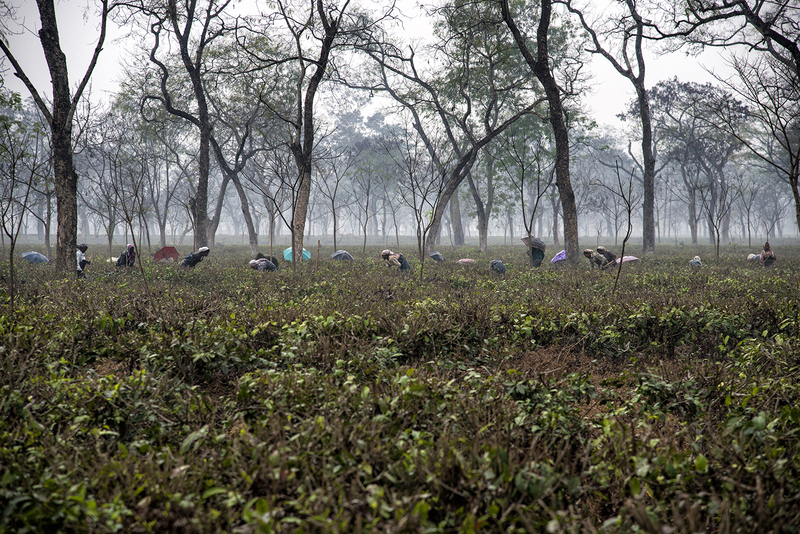 Tea leaves are the most important crop production. They grow and take root easily in Nagaland. The production of tea is constantly expanding thanks to the influence of the richest and most famous neighbouring country, Assam. 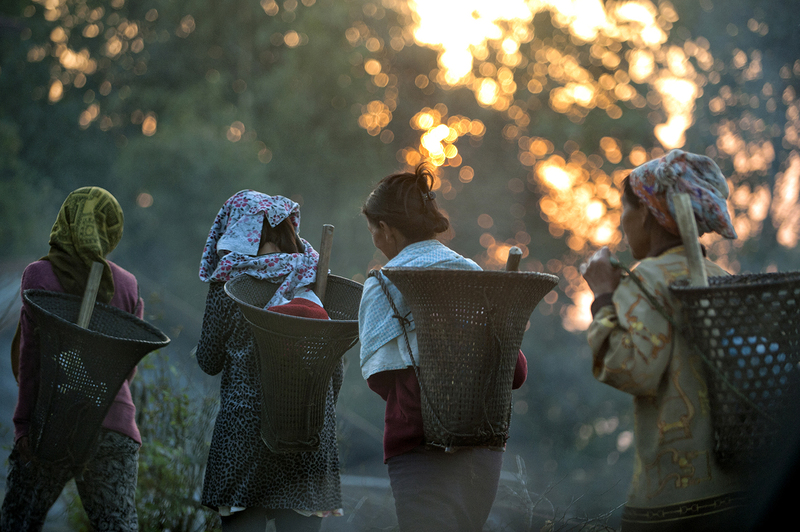 The women wake at dawn in order to spend the whole day in the fields, and for a day’s work are paid only a dollar and a half. They provide the sole economic support of the families in these villages. 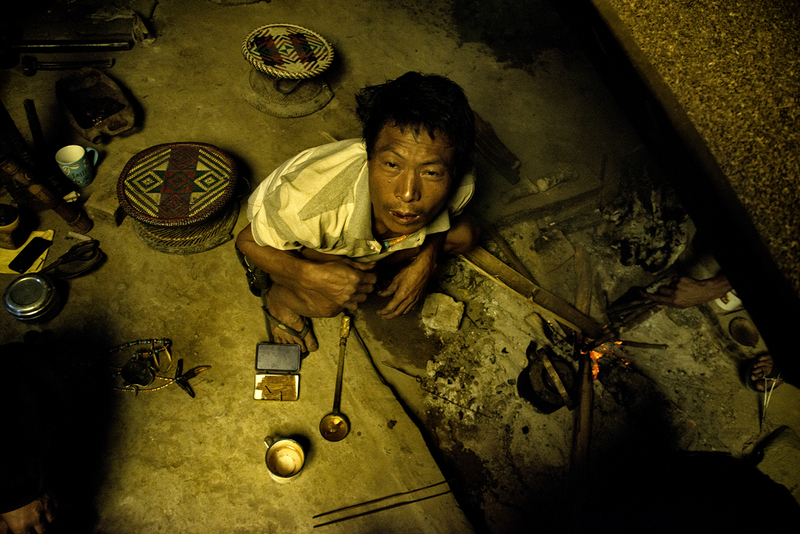 The men, by now addicted to opium, have stopped working, hunting and providing food. They come back exhausted at home at sunset, after a full day of work in the fields, especially in the cultivation of tea leaves, working hard, barefoot, in all weather conditions, every day. 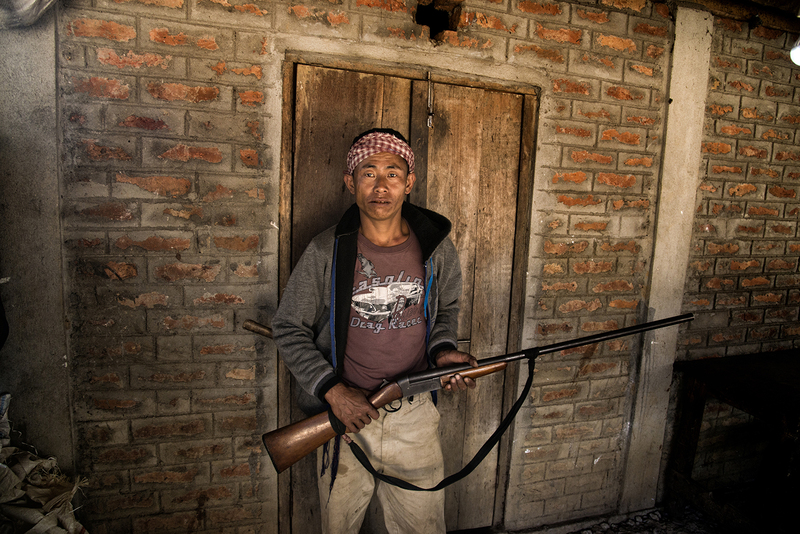 armed control outside a smoked hut The situation is always at risk and constantly evolving. Drugs, money and people in an altered state of consciousness may change the balance at any moment. Half-open eyes, inebriated smile, slowness of movements are the signs of the effect of "KANI" so they call opium in the local dialect But the awakening from this mental state, has been accompanied by great confusion and bewilderment. As with all drugs, the pleasure is temporary, after a day like this, these men return to their concerns, their pain and their fears, chained to an addiction that is difficult to eradicate, and that will make them get up every morning with the 'sole purpose of obtaining and smoking opium, so that we can return the most' fast as possible, to this haven in the "parallel world" that they have created. Opium huts are closed environments, with roofs made of banana or palm leaves, bamboo and plate walls. Inside, generally five or six people gather to smoke, lights are very low and smoke lays an acrid smell that makes the air unbreathable. 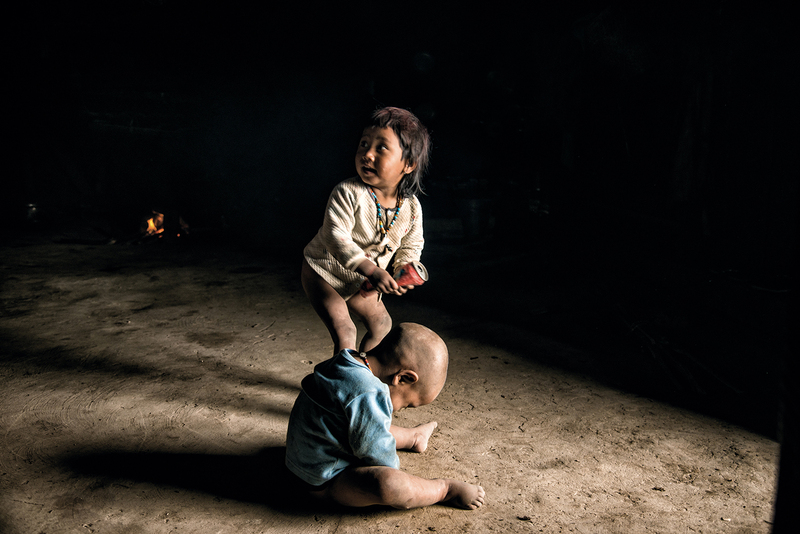 The children are left in the same house used as a opium den, under the control of elder sisters or some grandmothers who are no longer able to go to the fields. 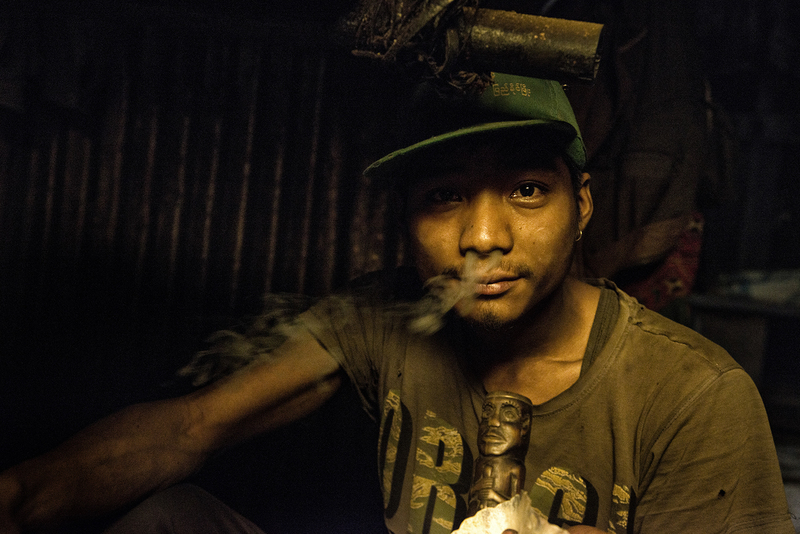 The children grow up inside the opium hut, between the acid fumes of the drug. 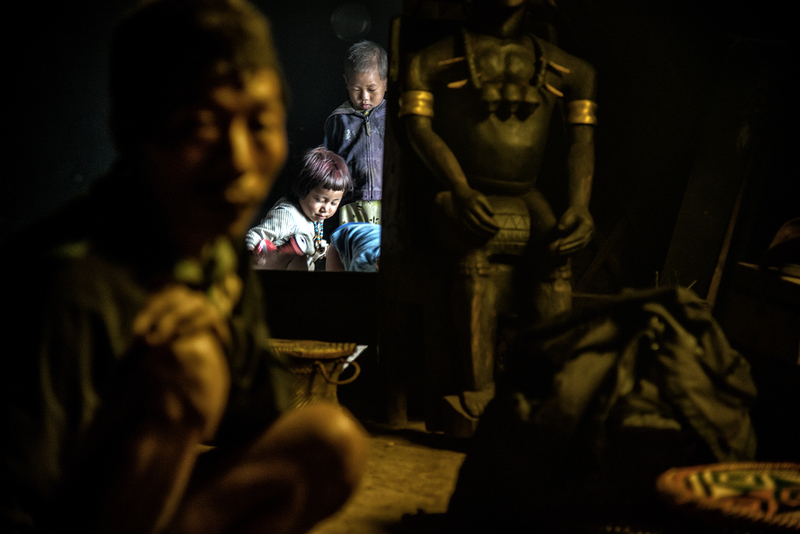 Children play while adults smoke, the acrid smell of opium and its fumes are being spread in all the house, even in the room with no door where are the kids . every adult is stunned in only a few minutes by the passive smoke in the hut. even more so in tiny babies.